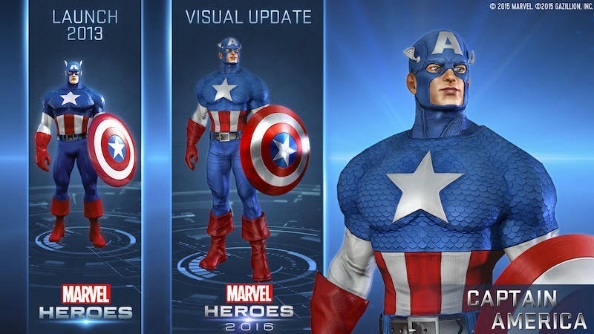 Earlier this year we learnt that Gazillion were updating Marvel Heroes once again, transitioning from 2015 to Marvel Heroes 2016. At New York Comic Con over the weekend, the studio announced exactly when that will happen: December this year. Looking for a great time for no cash? Try one of the best free games on PC, of which Marvel Heroes is one! The upgrade to 2016 brings not only the visual overhaul that we’d seen before, but also a new chapter to the game’s story campaign. It’s based on the Secret Invasion comic book story from back in 2008: one of Marvel’s most famous recent events, where the ranks of Marvel’s heroes was infiltrated by the shape-shifting Skrulls. Imagine The Thing, but instead of men in big coats it’s superheroes who could actually be aliens in disguise. Alongside this comes support for controllers, leaderboards, Steam Achievements, and the Mac version of the game finally leaves beta. There’s also the promise of new material from the “All-New All-Different Marvel” comic line, as well as a new area in the form of the dinosaur-infested Savage Lands and a raid featuring Marvel’s current favourite big bag Thanos. As ever, new heroes will be continually added to the roster of characters, which currently numbers more than 50.